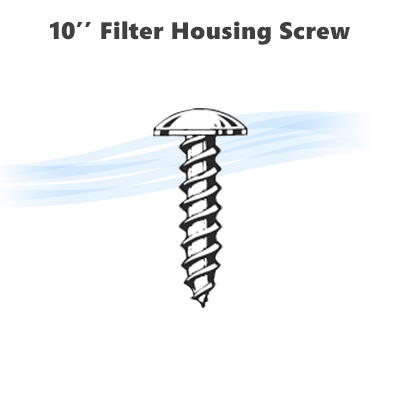 Home > Parts > Filter Housings > 10" x 2.5" Standard > 10" reverse osmosis filter housing screws. 10" Water filter clear housing 1/4" NPT. 10" Water filter white housing, 1/4" NPT.